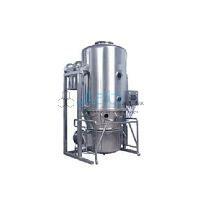 Fluidized Bed Dryer in India, Fluidized Bed Dryer Manufacturer, Fluidized Bed Dryer Suppliers, Fluidized Bed Dryer Exporters in India. Jlab are engaged in providing our clients a high quality range of Fluidized Bed dryer. The offered range is manufactured as per the set industry norms using quality approved parts and sophisticated technology. Keeping in mind the various needs of our clients, Jlab offer the entire range in varied models and technical specifications. Fluidized Bed Dryer Exporters, Fluidized Bed Dryer Manufacturer, Fluidized Bed Dryer in India, Fluidized Bed Dryer Suppliers in India, Fluidized Bed Dryer Equipment, Fluidized Bed Dryer Manufacturer in India, Fluidized Bed Dryer, Fluidized Bed Dryer Exporters in India.